CSA Monster is a brilliant, super tough looking 4x4 wheel, perfectly suited to the Australian market vehicles. 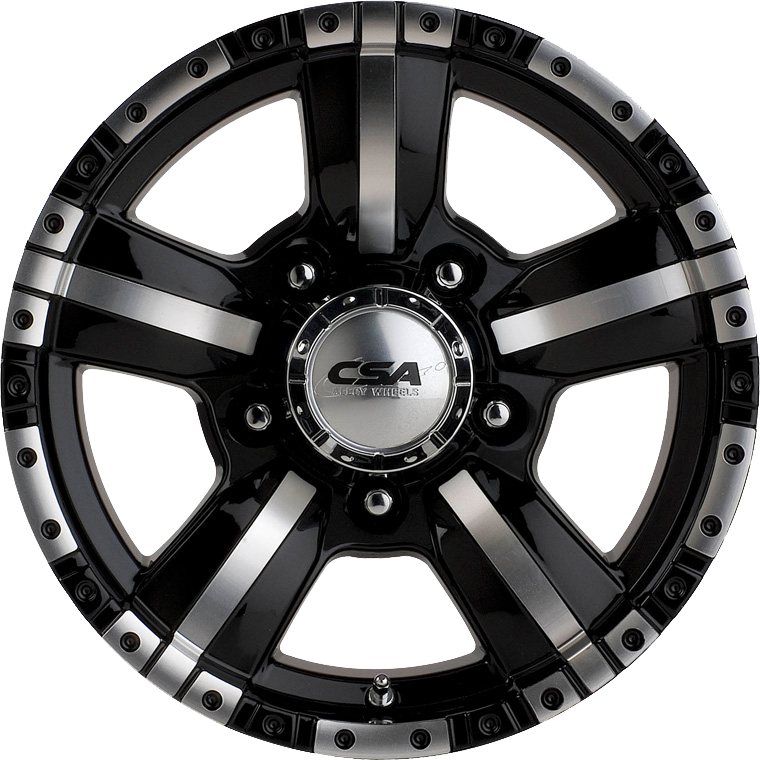 CSA Monster is a brilliant, super tough looking 4x4 wheel, perfectly suited to the Australian market. The Monster wheel is finished in brilliant gloss black with machined spoke highlights, machined rim edge highlights a huge deep lip. The Monster is available in 16x7” and 16x8” sizes to suit a large range of Australian off-road 4x4 and 4x2 and SUV vehicles. The Monster wheel is built for true off-road performance with an impressive 1150 Kg load rating and will fit a huge range of Australian vehicles.